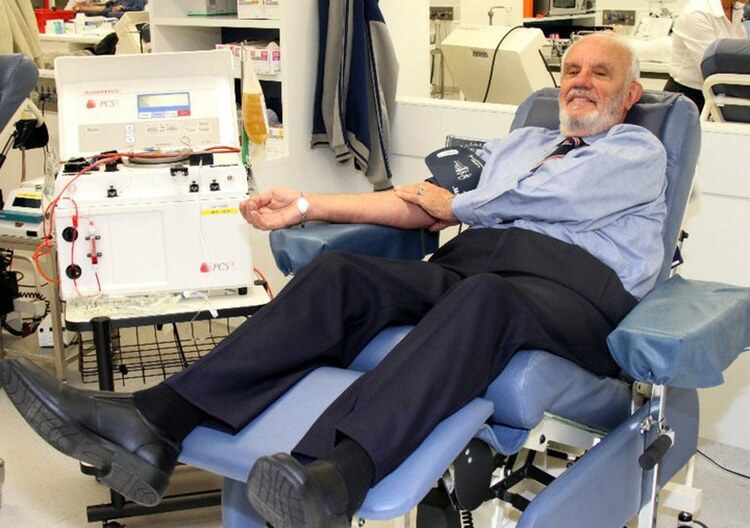 James Harrison saved 2.4 million Australian children by donating blood for consecutive 60 years. These statistics are provided by Australian Red Cross Blood Service, and are not assumed. He holds a Guinness record to be the man who had most donated blood since 2003. He is entitled with the nickname ‘Golden Arm’. He laid down his golden arm before donating blood until June, 2018. Now he is 82. Yes, his plasma cells hold a significance in which anti-D antibodies are being contained, a variety in medicine is called Anti-D products. They produce anti-D immunoglobulin in cells which is a known cure for rhesus disease, which in treating infants with genetically passed on rhesus disease through rhesus factor is a compulsory antibody. James Harrison is speculated that does not hold these antibodies as nature’s inheritance, for he was given with the gift as a token of gratitude before the battle he has won over death. In 1951, James Christopher Harrison was only a young lad of 14 years old. He was on a condition to face a huge lung surgery. The doctors had removed one of his lungs amid the surgery that ran on for hours. He was in hospitalized care for three months. His father always used to say, that James Harrison saved his life because he was transfused with a lot of blood. Although they never knew their donors, they were always grateful to them. “Dad told me I was transfused with 13 litres of blood.. To this day I don’t know who saved my life”, James Harrison later comments with Dr. Sanjay Gupta of CNN news. The son too wanted to contribute for the same cause of humanity, if it was not for his age. Per laws ruling Australia then, the minimum legal age for blood donation was 18. Therefore, James Harrison swore before his father that soon he comes of legal age he will begin to donate for the good cause, which he commenced in his 18. He restlessly continued to donate blood for 60 consecutive years. It was the year 1967. The medical field in Australia was agitated upon their inability to identify as to what caused thousands of babies to be aborted during pregnancy, increased delivery of stillbirths and the children that were born with brain disorders. Ten thousands of children were dying per year. Few of the luckiest ones to survive remained diagnosed with haemolytic disease (HDN/HDFN). The mother’s placenta itself was monstrous upon her offspring gifting with mortal genetic diseases. By the facts known then, this was when a baby with Rh-positive is conceived by a mother with Rh-negative. Obliterating motherhood and a mother’s love for her child, the biology itself resists the offspring as intruder agent. HDN was left to be treated by an antibody retrieved from plasma cells collected by donated blood, known as anti-D immunoglobulin, a very rare haematic composition. Researchers sought for the rare factor hunting down every blood bank in every corner and their storages. Upon their search they met only one donor from New South Wales. It was James Harrison! Harrison did not think twice when he was asked by the Australian Red Cross to contribute for the Anti-D Program in saving children dying of the deadly disease. The Anti-D vaccine was later produced by Harrison’s plasma cells. If it was not for this golden man, none of them would have been able to discover the vaccine in saving hundreds of thousands. The vaccine was first inspired to a pregnant woman in Royal Prince Alfred Hospital in 1967. Her offspring saw the light of this world in a smiling face. The vaccine is inevitably required for 17% of pregnant mothers in Australia. Accordingly, the Red Cross accurately estimates that 2.4 million children in Australia are privileged to see the light of this world because of James Harrison. Scientists are still unable conceptualize as to why this antidote is being naturally composed in James Harrison’s blood. They only came into the mere conclusion in which this had happened because he as a young lad was transfused with a heavy volume of blood. 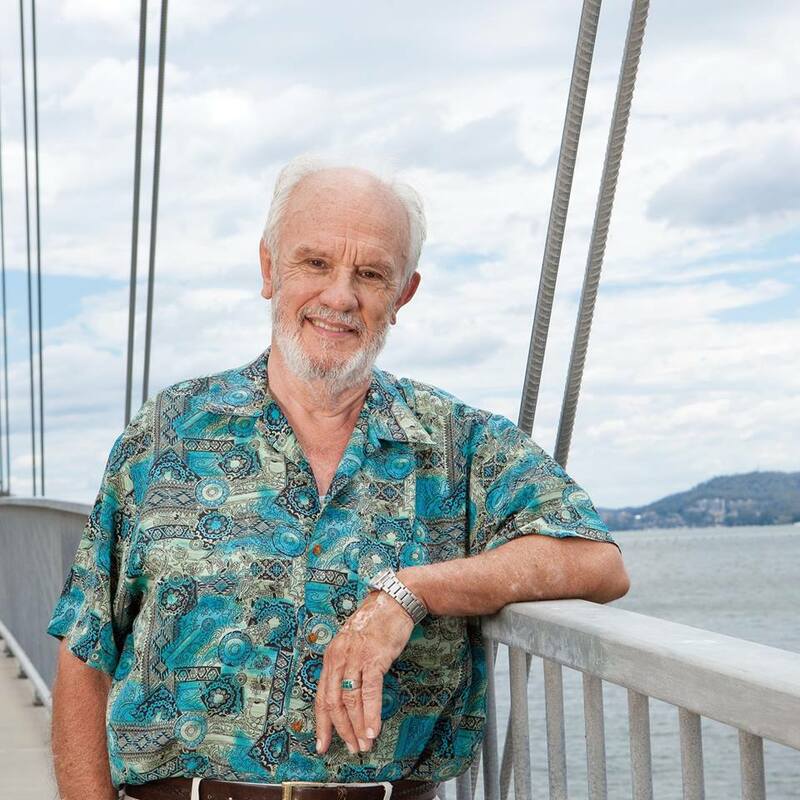 James Harrison was awarded with the Medal of the Order of Australia (OAM) in 1999. In 2015, Harrison donated blood for the 1001th time, leaving a grinning remark, “Maybe giving blood is my only skill”. He has famously quoted that he never thought of giving a stop to donating blood until he reached 81. He closes his doors to his act of humanity in the age of 81, because his age began to put restrictions. Un-miming to his will, the Red Cross made an ultimatum amid his health condition and age that he should be stopping donating blood. He had contributed to the good cause 1173 times by then. His personal throne was decorated with silver balloons, witnessed by many forever grateful mothers present in the scene whose children were saved by his act of humanity. Even today, same as yesterday, James Harrison does not like syringe needles. But closing his eyes, he mediated the rhythm of his blood flow gliding through the needles due in a heartbeat admixed by his love for the life he was about to save. He looked away when his skin was pierced by a needle, smiling and serving his duty. He made his due to the society even, thousand times greater than the 13 litres he was originally transfused with. “Nobody like him will ever be received to us again..”, the Red Cross left a remark. His veins were strong enough to save 2.4 million lives. True, instead of those who have taken the pride for exhibiting their toxic masculinity, they are the type of ‘men with guts’ this world needs. 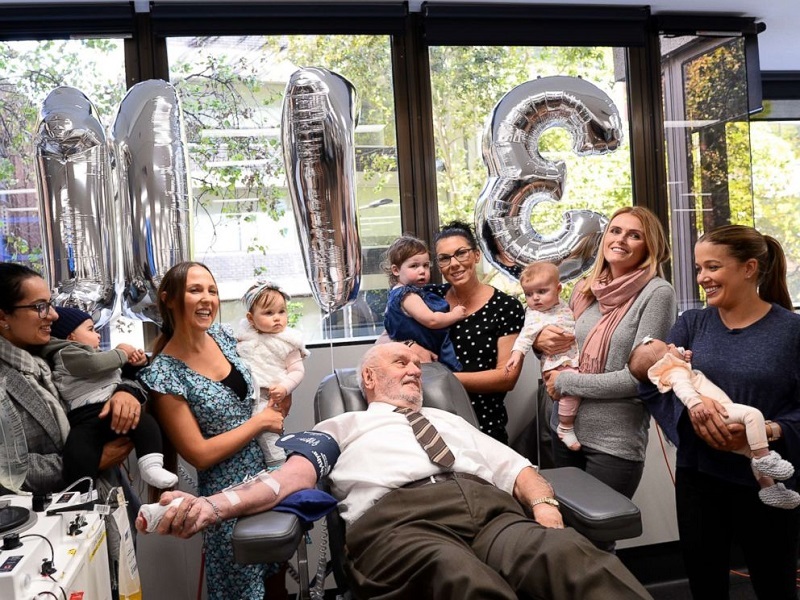 ‘Help us thank the man who has given more blood donations than anyone else on the planet!’ was a special awareness programme organized by the Australian Red Cross in commemorating this advanced human being. They requested the public to join with them to wish this man with a photograph, a video message, a post or a presentation. Grinning and tightening his eyes once again, Harrison shook his head and replied no! It was the real significance of James Harrison. He never thought of himself as a ‘man with guts’. He responded instead that if he made a record out of his contribution, he would like to see someone breaking it. Who are the 2.4 million saved by James Harrison? They had no racial or religious difference. Australia is a country of multiracial diversity. People with many races and nationalities live there. The loving man James Harrison has never conditioned himself as to whom he should donate his blood. He is only aware that his plasma treated two of his grandchildren, when the rest was not even in his concerns on the terms of race or nationality. For a country like Sri Lanka, who stands above the laws of science discovering blood types i.e. SinhaLe, MarakkaLe, the real lesson James Harrison teaches is the lesson of humanity; “There is only one nation, and that is human nation”. The real offering is giving without expecting anything in return. Looking from that angle, it is doubtful whether more men like James Harrison from Australia exist in the world at all.